This is a trip I’ve been longing to do ever since I took the Route-66 drive a while back. I knew I had to plan this over a long weekend and as much I hated myself for planning it during the weekend of July 4th, I didn’t have much of a choice. IMO, except for Valley of Fire… the rest of them are destinations on their own. Which basically means, you can spend weeks exploring these national parks and no other time than the summer. I flew into Vegas and as much as I wanted to hit those blackjack tables, sipping 2for1 Jello shots and also probably throwing up on a shrimp buffet.. I decided that’s for a different trip and drove up to Overton-NV, which is the closest city to Valley of Fire State Park. 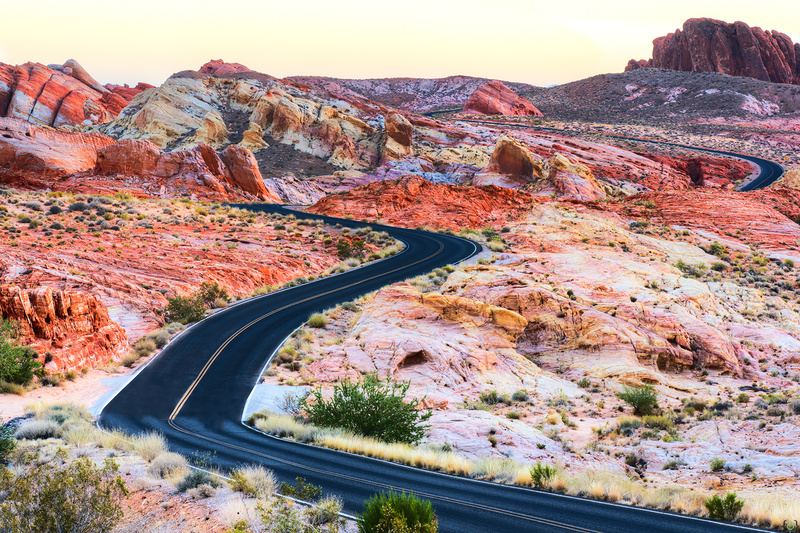 Valley of Fire – If you are visiting this park during summer, plan a visit early in the morning. It gets so hot, so soon thus reducing the possibility of exploring the park. The park had enough warning signs for hikers to avoid day hikes and if they did, to carry lot(a lot) of water. The day I visited, mercury found its way all up to 105 deg F. From Overton to the park, the road takes you on a very quite and breath-taking scenic drive which loops till the end of the park. In this park, you will get to see rocks that glow with an unusually bright crimson color. The area offers some of the vivid colors splashed on some of the oldest natural rock formations. The rough floor and jagged walls of this park contain brilliant formations of eroded sandstone and sand dunes more than 150 million years old. These features often appear to be on fire when reflecting the sun’s rays, hence the name. There are a few short hikes if you want to check out those cool rock formations and such, up close. The visitor center which opens at 8.30a.m has some nice information on the surrounding geology and you can fill up your water bottles too. The first picture in the collection below is from this park. I drove upto Springdale in Utah from here, which is where I was going to setup shop for the next two days. 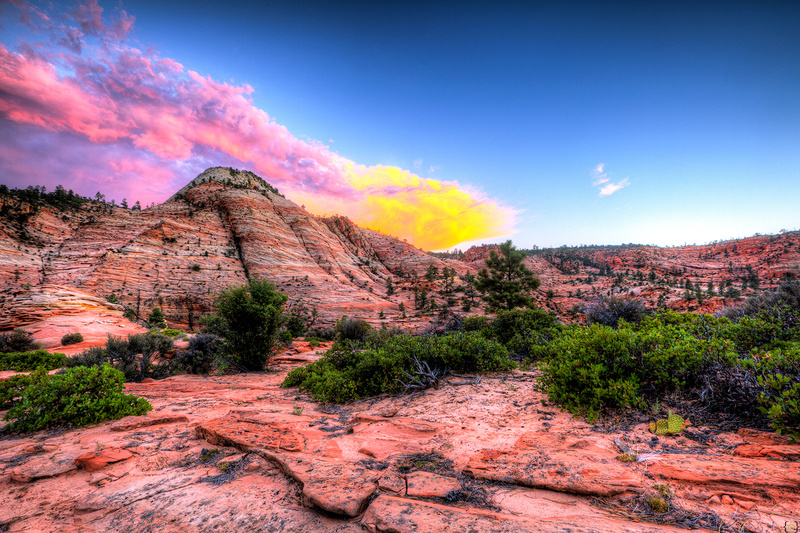 Springdale, Utah is the place I’d suggest if you are planning to explore Zion National Park. It is a tiny town with a lot of great accommodation options. Zion National Park – “Enchanting” is the word I used to describe as my eyes raised to view the elegant monoliths of this park. 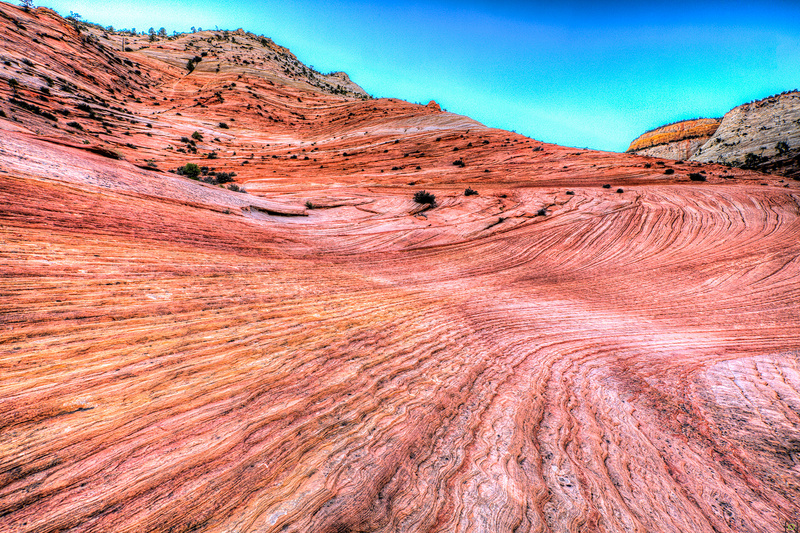 This park reveals its eight layers of sandstone, displaying what has taken two-hundred-million years to carve and mold. A masterpiece of towering cliffs, deep red canyons, mesas, buttes and massive monoliths. Describing how great this park is, wouldn’t be complete if I didn’t mention about its lofty peaks. This Park, where plentiful beauty would stop you in your tracks and leaves you gaping in awe. The severe violence of Mother Nature has created perfection here, where years of raging storms have pit water and winter’s ice and snow against rock, producing astounding formations which are now protected by the National Park Service(NPS) and kept pristine for all the world to enjoy. The park offers plenty of campgrounds and atleast one of them is on a first come basis, if you hate the habit of reserving camping spots online. Also, there are other private camp/RV parks which offer facilities. In the collection below, Pictures 2 though 8 were shot in Zion. 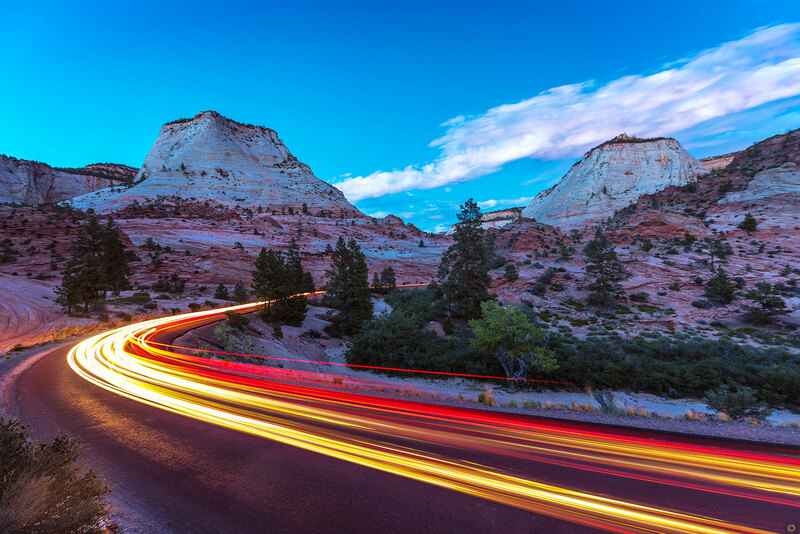 The NPS, to preserve the fragile eco-system and control the overwhelming visitor attraction to this park, The Scenic Drive is only accessible by shuttle bus till October. The shuttle service leaves from the Zion Visitor Center and is available in plenty. The visitor center mentioned that this park, on an average attracts 3-4 million visitors a year and I kept thinking if all those 4 Mil visitors picked this specific July 4th weekend(!). Because that’s how much crowded it was. One thing to keep in mind, if you want to explore this park and sink in its beauty.. Start early and stay late. If you are looking for short family-friendly hikes or a fit hiker who wants to do a longer strenuous day hikes, the park offers a wide range of hiking opportunities. 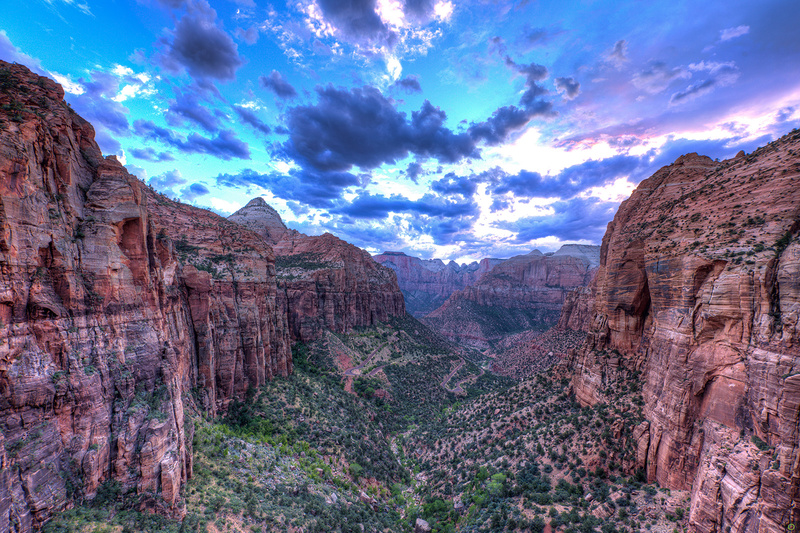 The two most famous hikes: Angels Landing and the Zion Narrows. Beyond that, there are still many more prospects to explore. 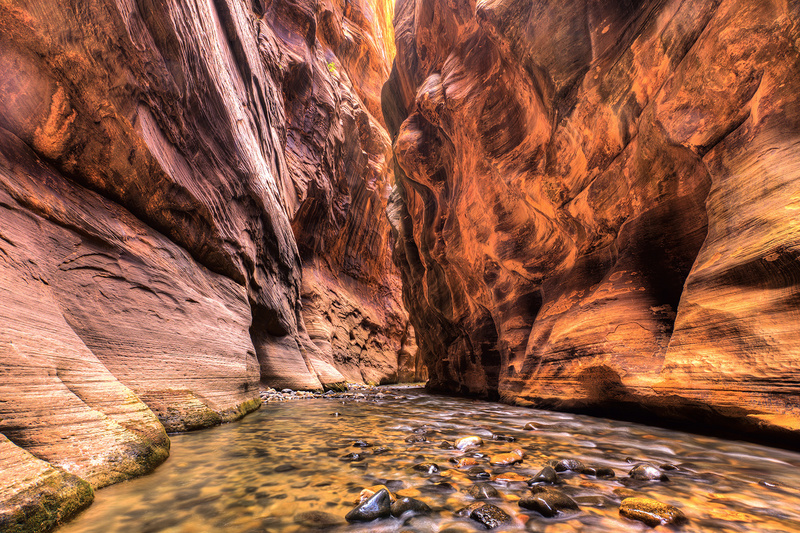 Incase you decide to do just one hike, pick the Zion Narrows. Hiking The Narrows means hiking in the Virgin River. Most the hike is spent wading, walking, and sometimes swimming in the river. Please don’t look for a maintained trail because the route is the river. Here, the magnificent walls of the main canyon close in to form a tall and narrow canyon with beautiful dark corners and the Virgin River flowing around you. With beautiful flowing water and barely any direct sunlight reaching the bottom, this is the slot canyon that all other slot canyons are compared to. Picture 8 is from the Zion Narrows. 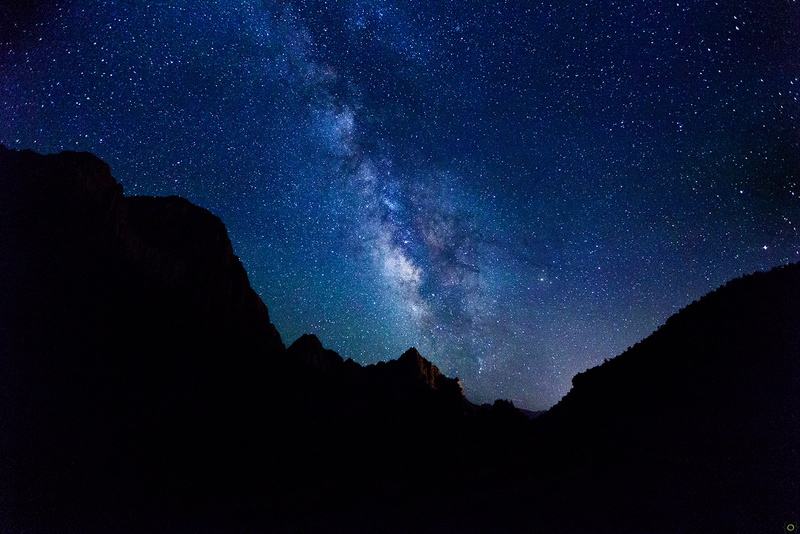 The reason I mentioned ‘stay late’ is because Zion has one of the darkest skies and there is so little light pollution, you get to see an amazing view of the night sky which is well worth staying up at night. 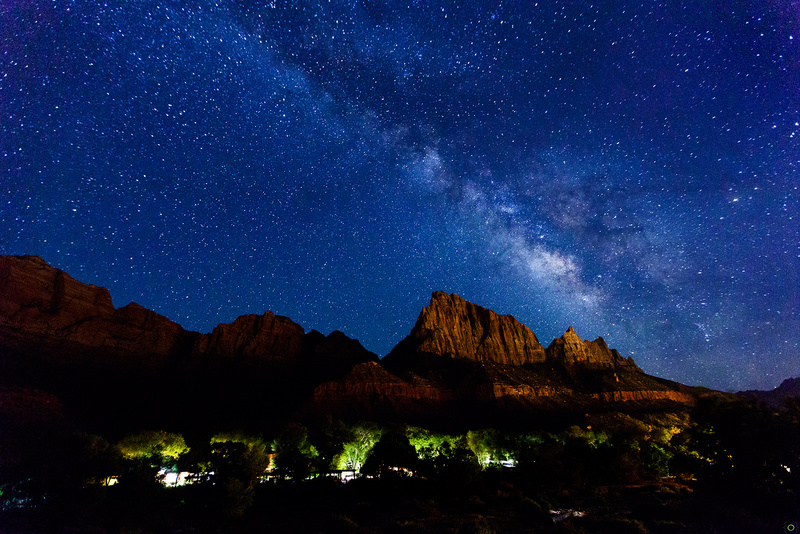 The starry sky shot shows the ‘Milky way’ rising above the Zion’s Watchman peak. This was shot on a no cloud night which helped so much in getting the shot. The light on the peaks is from the lights of Springdale which kind of adds as a nice contrast to the picture. You might ask, “Is that how the Milky Way looks like, when you look up the night sky? Can you really see that many stars?” My answer is, “Yes and No.” You really can see it quite clearly with your eye (if you are in a place like Zion), it’s just not as bright as I can see with my camera. The reason is because my camera is manually controlled to take the images at a longer exposure (typically 8 to 30 seconds), so it gathers more light for its sensor than my eyes can. After two days of exploring Zion, I started to Bryce Canyon which is a 60-mile drive, to spend the next 2 days of my trip. 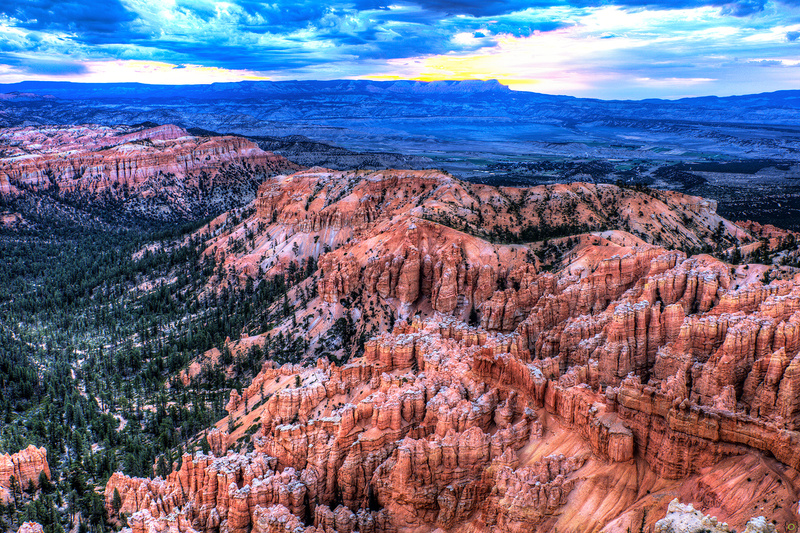 Bryce Canyon National Park – This is not one main canyon, but rather a dozen smaller gorges eroded into the east side of a ridge running approximately north-south at the edge of the Paunsaugunt Plateau in southwest Utah. This erosion has resulted in thousands of strange and flimsy rock formations, large and small, in many subtle shades of pink, white, yellow, orange and red, extending in quite a narrow band for over 25 miles along the plateau rim. 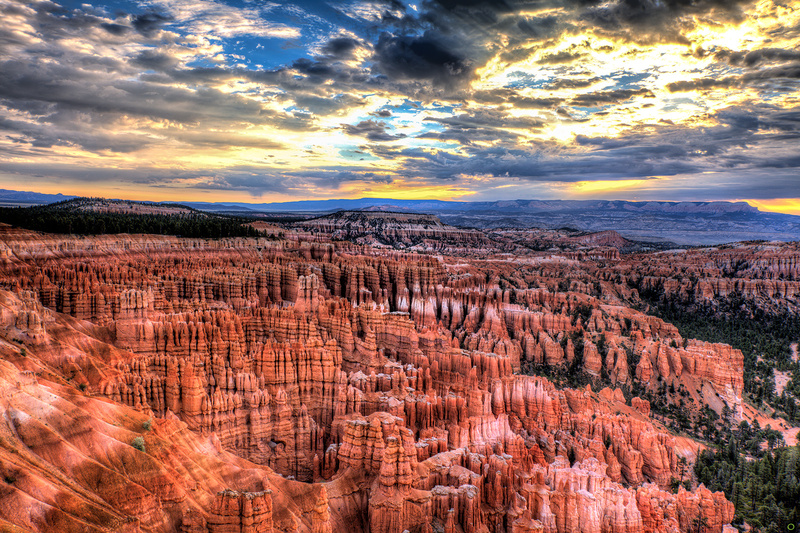 Bryce also has very dark night skies and staying late will be an awesome experience if the skies are clear. Both the nights I stayed here were cloudy and I didn’t get to take a shot worthy of posting it. 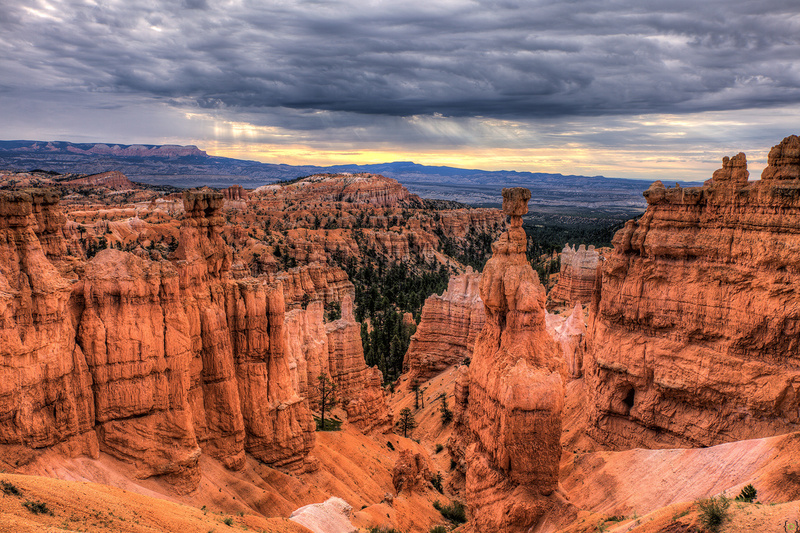 If you are not into camping, the Bryce Canyon lodge would be a perfect place to stay here. 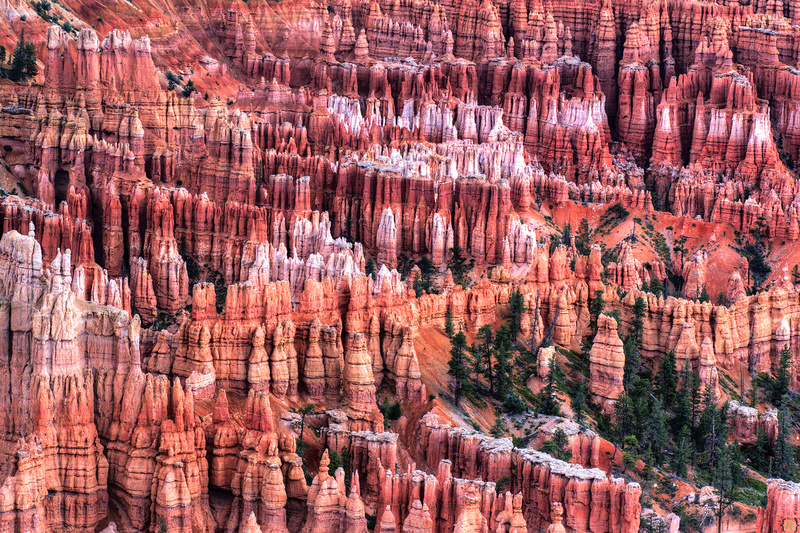 In the collection below, Shots 9 through 13 are from Bryce Canyon. Gear Used: Canon 5D Mark III, Canon 5D MII, EF16-35mm f/2.8L II USM, EF 70-200mm f/2.8L IS II USM, Manfrotto 055MF3 MagFiber Tripod + Manfrotto Q5 054 Magnesium Ball Head. Fabulous – again! Your beautiful photography broought back great memories of our time in Zion and Bryce. 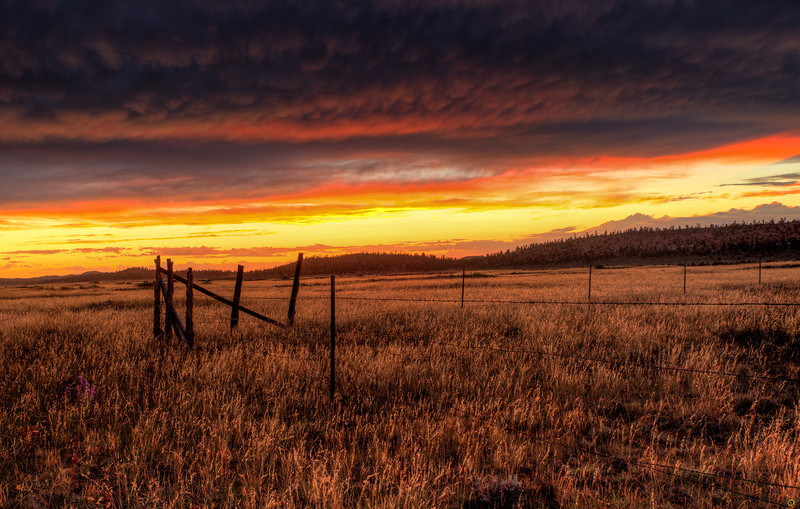 The west is filled with fantastic scenery that never quits. You must try Antelope Canyon near Page, Az.